Thanks to Claudio Gonzales, who requested it, and to MSRI Librarian Linda Riewe, who found and scanned it, my 1990 MSRI preprint “The cohomology ring of the space of rational functions” is available on my webpage. Abstract: We consider three spaces which can be viewed as finite-dimensional approximations to the 2-fold loop space of the 2-sphere, Ω2S2. These are Ratk(CP1), the space of based holomorphic maps S2→S2; Bβ2k, the classifying space of the braid group on 2k strings; and Ck(R2, S1), a space of configurations of k points in R2 with labels in S1. Cohen, Cohen, Mann, and Milgram showed that these three spaces are all stably homotopy equivalent. We show that these spaces are in general not homotopy equivalent. In particular, for all positive integers k with k+1 not a power of 2, the mod 2 cohomology ring of Ratk is not isomorphic to that of Bβ2k or Ck. There remain intriguing questions about the relation among these three spaces. J. Havlicek. The cohomology of holomorphic self-maps of the Riemann sphere. Math. Z. 218 (1995), 179–190. 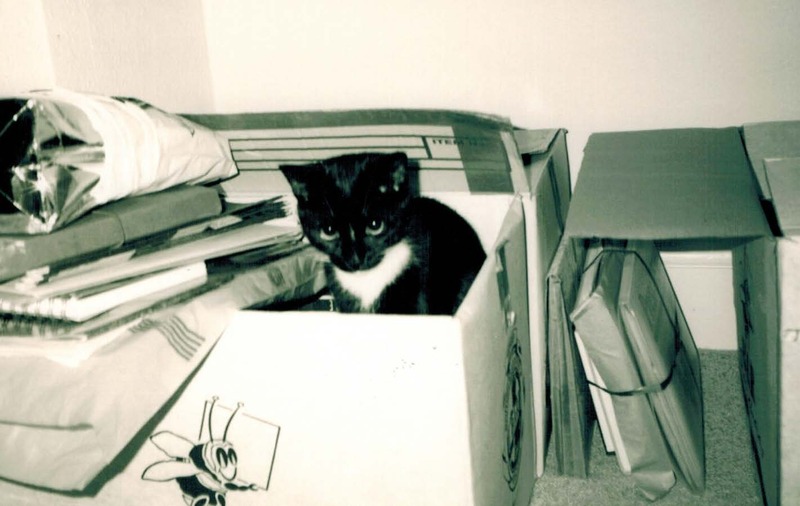 Photo: Susie the cat in Cambridge c. 2002. The ACLU (American Civil Liberties Union) is more important than ever now. If you can afford to, support the ACLU’s efforts by donating and/or joining. Several tech executives are offering to match donations, so this can be a way to multiply the effect of yours. 5 Feb update: Here is a compiled list that appears to be up to date. The executive order directly challenges the core values and mission of universities to encourage the free exchange of scholars, knowledge and ideas. It may affect the ability to travel for thousands of students and scholars now in the US diligently pursuing their scholarly careers as well as countless others who wish to take advantage of our open universities to pursue knowledge and truth. Although the breadth of the Order is not yet clear, it also could adversely affect the ability to travel for many faculty, students, and staff in our own community. Already, universities across the US as well as scholarly societies such as the APLU and the AAU have issued powerful statements decrying this action. UCLA joins this rising chorus in expressing opposition to the executive order. As your Chancellor and Executive Vice Chancellor, we want to reassure the campus community as a whole and especially those directly affected by this order that the University of California and our campus leadership stand by our core values. The UC Office of the President has advised UC community members from these seven countries who hold a visa to enter the United States or who are lawful permanent residents do not travel outside of the United States. In the meantime, if you are a student, scholar or faculty who have visa issues or questions that deserve our attention, please contact the UCLA Dashew Center for International Students and Scholars at (310) 825-1681. Please also see below a message that was sent today from UC President Janet Napolitano and signed by leadership from throughout the University of California. We are deeply concerned by the recent executive order that restricts the ability of our students, faculty, staff, and other members of the UC community from certain countries from being able to enter or return to the United States. While maintaining the security of the nation’s visa system is critical, this executive order is contrary to the values we hold dear as leaders of the University of California. The UC community, like universities across the country, has long been deeply enriched by students, faculty, and scholars from around the world, including the affected countries, coming to study, teach, and research. It is critical that the United States continues to welcome the best students, scholars, scientists, and engineers of all backgrounds and nationalities. Mathematics is about rich objects as well as big theories. This post is about one of my favorite rich objects, the spin group, inspired by my new paper Essential dimension of the spin groups in characteristic 2. What I mean by “rich” is being simple enough to be tractable yet complicated enough to exhibit interesting behavior and retaining this characteristic when viewed from many different theoretical angles. Other objects in mathematics are rich in this way. In algebraic geometry, K3 surfaces come to mind, and rich objects live at various levels of sophistication: the Leech lattice, the symmetric groups, E8, the complex projective plane,…. I’d guess other people have other favorites. In the 20th century, the spin groups became central to quantum mechanics and the properties of elementary particles. In this post, though, I want to focus on the spin groups in algebra and topology. In terms of the general classification of Lie groups or algebraic groups, the spin groups seem straightforward: they are the simply connected groups of type B and D, just as the groups SL(n) are the simply connected groups of type A. In many ways, however, the spin groups are more complex and mysterious. One basic reason for the richness of the spin groups is that their smallest faithful representations are very high dimensional. Namely, whereas SO(n) has a faithful representation of dimension n, the smallest faithful representation of its double cover Spin(n) is the spin representation, of dimension about 2n/2. As a result, it can be hard to get a clear view of the spin groups. For example, to understand a group G (and the corresponding principal G-bundles), topologists want to compute the cohomology of the classifying space BG. Quillen computed the mod 2 cohomology ring of the classifying space BSpin(n) for all n. These rings become more and more complicated as n increases, and the complete answer was an impressive achievement. For other cohomology theories such as complex cobordism MU, MU*BSpin(n) is known only for n at most 10, by Kono and Yagita. In the theory of algebraic groups, it is especially important to study principal G-bundles over fields. One measure of the complexity of such bundles is the essential dimension of G. For the spin groups, a remarkable discovery by Brosnan, Reichstein, and Vistoli was that the essential dimension of Spin(n) is reasonably small for n at most 14 but then increases exponentially in n. Later, Chernousov and Merkurjev computed the essential dimension of Spin(n) exactly for all n, over a field of characteristic zero. Even after those results, there are still mysteries about how the spin groups are changing around n = 15. Merkurjev has suggested the possible explanation that the quotient of a vector space by a generically free action of Spin(n) is a rational variety for small n, but not for n at least 15. Karpenko’s paper gives some evidence for this view, but it remains a fascinating open question. The spin groups are far from yielding up all their secrets. 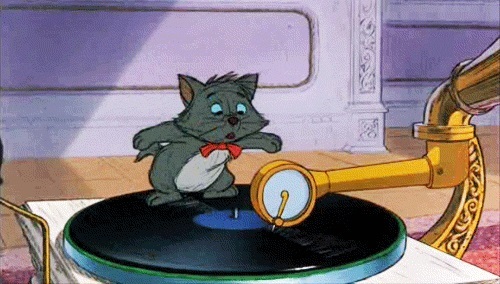 Image is a still from The Aristocats (Disney, 1970). Recommended soundtrack: Cowcube’s Ye Olde Skool.